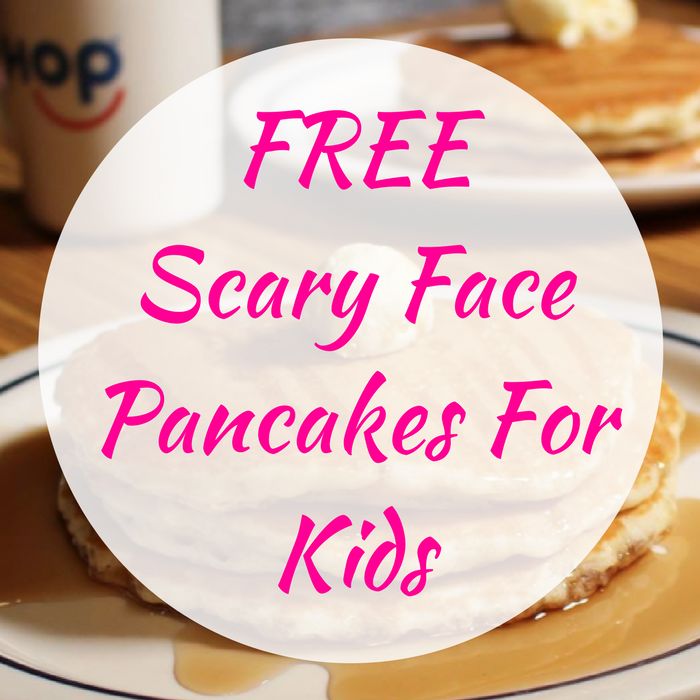 FREE Scary Face Pancakes For Kids! You are here: Home / FREEbies / FREE Scary Face Pancakes For Kids! On October 31, from 7am to 10pm only! Head over to iHop where they will be offering a FREE Scary Face Pancakes for all kids aged 12 and under! This offer is valid for dine-in only, at their participating locations, and has a limit of one per child. Awesome!